John Deere’s 6R Series is set to see the first updates to the range since the arrival of the 6250R. The CommandPro joystick, which was introduced on the two largest 6R Series models, is to be extended down the range, as a control option for the firm’s AutoPowr transmission. The joystick is said to be highly functional, with the ability to control speed and multiple other operations, and has 11 programmable buttons for functions such as spool valves, link arms, hitch and PTO. Top speed is reached in just one push of the joystick, while for slow moving work up to 2kph, a creeper control is used. Updates to John Deere’s CommandCentre sees the launch of the 8.4in 4200 screen, replacing the smaller 4100 screen. This terminal controls AutoTrac, section control, data documentation and other applications. 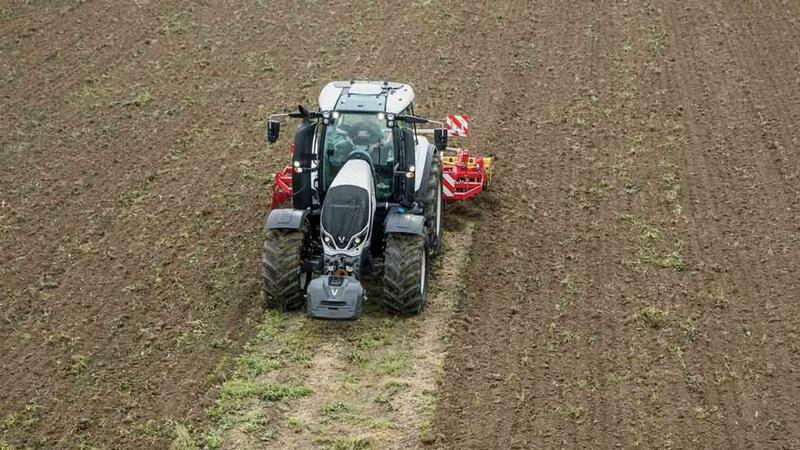 It is also ready for all AEF-certified IsoBus functions, such as joystick control and data transfer between tractor and implements. Tweaks have also been made to the power outputs of further 6R models, between the 6155R, which now produces a maximum of 202hp, and the 6215R, which now boosts up to 259hp. All 6R Series tractors can now be equipped with variable ratio steering. This requires less arm movement, allowing quick and smooth headland turns, it says. The system can be activated and deactivated from the tractor’s CommandCentre console. Featuring revisions to its front axle and steering systems, New Holland has made several updates to its four-model long wheelbase T7 tractors; T7.230, T7.245, T7.260 and T7.270. In addition, the front axle suspension has also been tweaked. Featuring a new control valve with dual accumulators, the new suspension mechanism is claimed to reduce chassis vibration by 11 per cent over the existing design. It now also gets an improved self-levelling system which momentarily stiffens the suspension during braking, acceleration or when the three-point linkage is operated. This upgrade also takes information from the tractor’s rear linkage, to determine how stiff to make the suspension. In addition, an accelerometer unit within the nose of the tractor monitors any chassis movement caused from uneven surfaces and continually adjusts the suspension damping. There are three selectable settings ranging from a single rotation of the steering wheel, 1:1, to 2:1 to 3:1. On tractors with the IntelliView IV monitor the driver can select their own ratio and a different ratio for forward than reverse. Further control over steering the ratios can be changed automatically within the headland management system – one ratio for working, one for turning at the headland, and one for reversing, for example. For safety at high speeds any chosen custom ratio is gradually dialled out as speed increases, up to 26kph – slow the tractor down and CustomSteer will automatically re-engage. 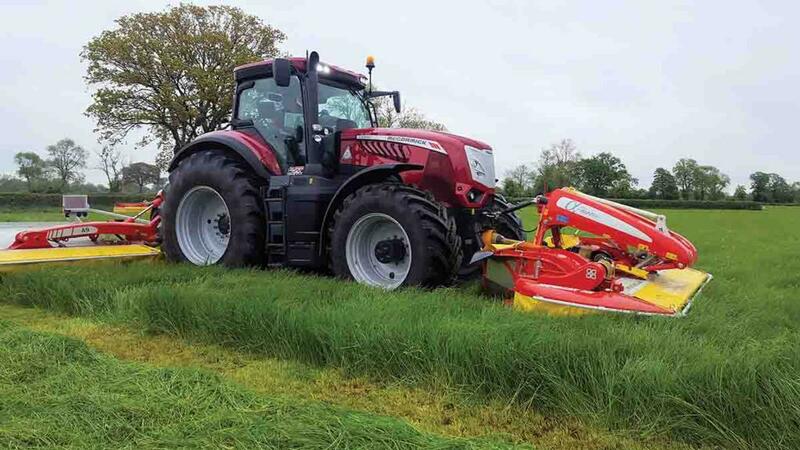 Originally introduced on the 6700 Series, Massey Ferguson’s ‘S Effect’ styling has been expanded to cover most of the Massey Ferguson tractor range, including the 7700 S Series, spanning 140-255hp (maximum). A new bonnet, updated interior and new layout of buttons on the joystick are just some of the new features which are said to improve operator comfort and safety, partly in response to the Mother Regulation implemented earlier this year. Engine power management, previously only available on the Dyna-4 and Dyna-6 semi-powershift transmission options, has also been rolled out onto the continuously variable transmission Dyna-VT models, offering a 25hp boost for transport and pto work. Another development for MF’s S Effect tractors is the firm’s Fieldstar 5, nine-inch touchscreen, IsoBus terminal. Built as a complete precision farming package, it has a suite of products that provide mapping, automatic section control, variable rate applications, record-keeping and comprehensive machinery monitoring with telemetry. 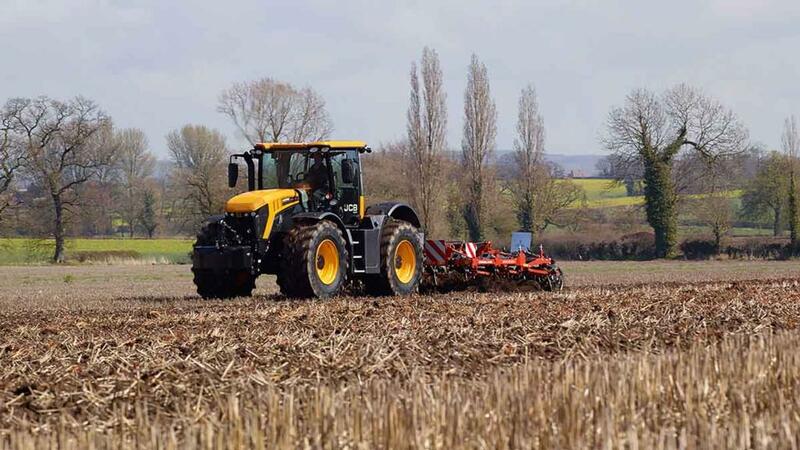 Three models make up JCB’s Fastrac 4000 range; the 4160, 4190 and 4220, with rated powers relating to the last three digits of the model numbers – maximum powers are 175hp, 208hp and 235hp respectively. 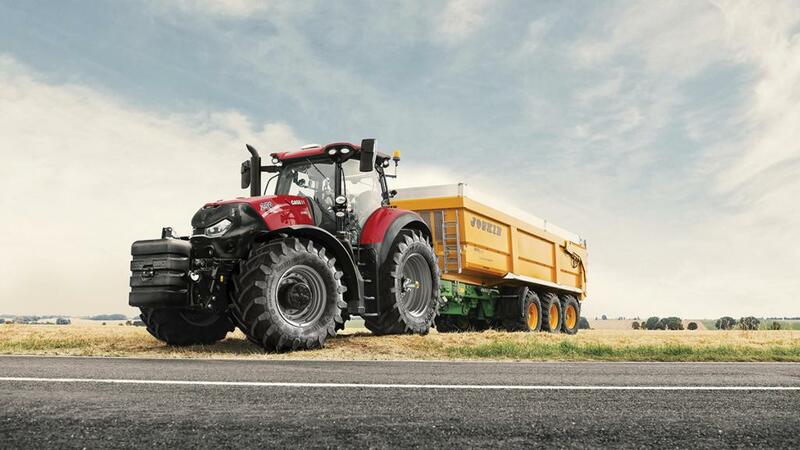 Power is courtesy of 6.6-litre Agco Power engines using selective catalytic reduction and a diesel oxidation catalyst to meet Stage 4 emissions regulations. 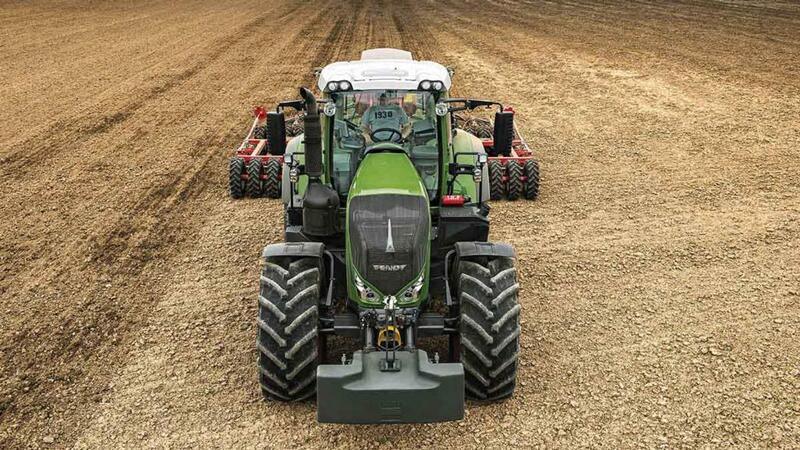 A Fendt-derived ML180 is the transmission of choice for the 4000. The continuously variable transmission offers a low range ranging from 0-40kph and a high range going from 0-60kph. The 4000 gets all primary controls incorporated into the right-hand armrest. This includes a joystick for transmission control, integrated into which are buttons for headland management activation and drive modes, plus four buttons which can be assigned various functions such as linkage, spools and guidance activation. Four-wheel steering is available on all three models, along with the ability to customise steering modes. Four-wheel steer is automatically switched to two-wheel steer at speeds above 25kph, this re-engages when you drop below 25kph. Fast steer is a new option which reduces steering wheel effort from four turns lock to lock down to two. 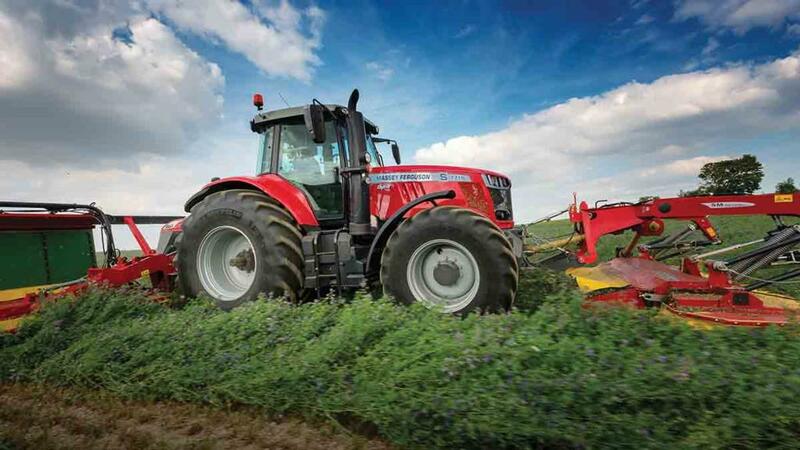 Keeping the tractor stable is a hydro-pneumatic suspension system, designed to self-level. As an option you can get a double-acting version which transfers weight to maintain equal loading on each wheel. 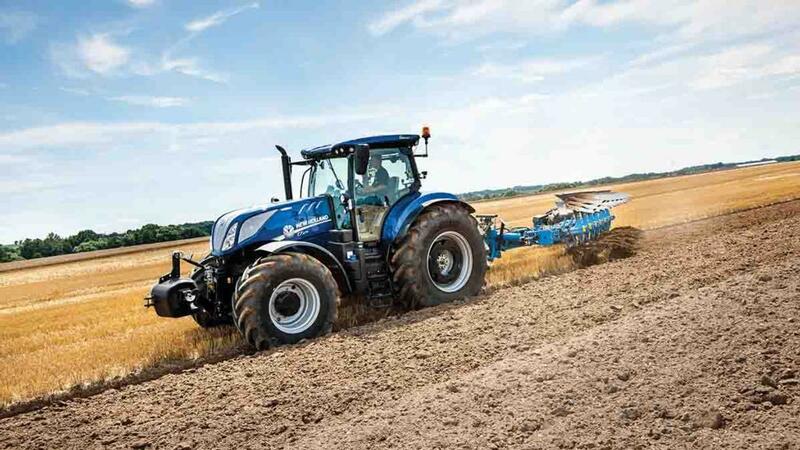 This allows tyres to be run at much lower pressures compared to conventional tractors, says the manufacturer. Suspension can also be stiffened and manually adjusted through its 135mm of travel, enabling the tractor to ‘squat’ under a demountable implement, raise up and drive off, for instance. Anti-roll bars provide stability, most noticeable with deck-mounted equipment such as a sprayer or hopper. Representing the largest tractors it has ever produced, McCormick’s X8 Series comprises three models ranging from 264hp to 310hp (max. rated). Grunt is supplied by FPT, with engines built to McCormick’s specifications and re-badged Beta Power. To manage torque curves and engine response better, the engines use a variable geometry turbo. Carrying no structural stresses, engines are mounted in a half chassis design derived from the old ZTX series. Bolted to the back of the chassis is a continuously variable transmission from ZF. Using a combination of a hydrostatic motor and four mechanical ranges, it offers a seamless transition of speeds from 0-40kph (economy version), or 0-50kph. At the rear, it is capable of lifting 12,000kg and features a three-speed pto. Hydraulic performance is 157 litres/minute as standard or 212 litres/minute optional. To get the power down, two 900/60 R42 rear tyres can be fitted. For the operator, it shares the same cab as developed for the X7, along with the same control logic. 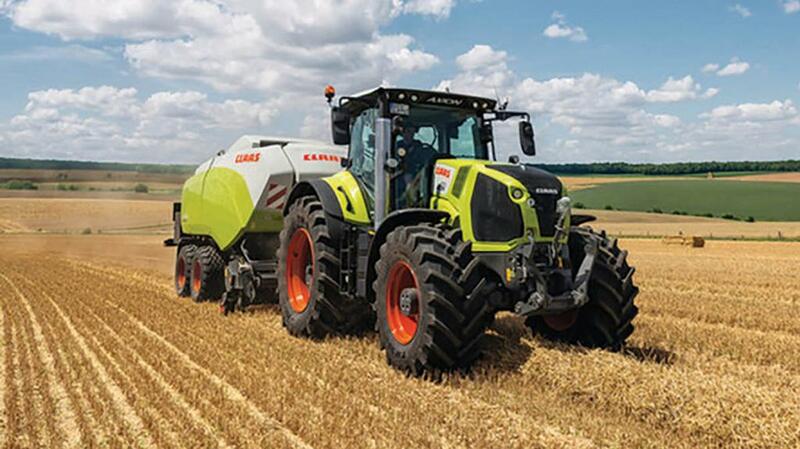 German manufacturer Claas has added a new specification level to its 205-295hp Axion 800 range. CIS+ bridges the gap between the Basic CIS option and the top-end Cebis package. Features within CIS+ include a seven-inch CIS colour display built into the right-hand A-pillar, a multifunction armrest with four-way control lever for hydraulic functions and a proportionally controlled drive stick to operate the transmission. The Cebis system and terminal have also been updated to increase operator convenience. Its 12-inch colour screen is now touch-controlled, with scroll and confirmation buttons retained in case of rough terrain. Alongside the Cmotion control lever are 10 programmable buttons, which can be assigned a multitude of tasks, with eight of them on the control lever. A full test drive report of the new control concepts will be featured soon in Farmers Guardian. The Axion 800 Series comprises six models, with power coming from Stage 4, 6.7-litre FPT engines. Transmission options extend to the firm’s Hexashift powershift or its Cmatic continuously variable transmission. Finnish manufacturer Valtra has rolled out changes across its popular T Series tractor range. New models include the T234 and T254 which now max out at 250hp and 271hp, respectively. Transmission choices for the T234 extend to powershift or CVT, while the T254 is only available in the Versu powershift guise. As standard for both transmission options is the newly developed SmartTouch armrest control concept. Featuring a nine-inch touchscreen terminal, it controls all major tractor functions. Featuring a multifunctional drive lever and multiple programmable buttons, it has been designed to be the most operator friendly on the market, claims Valtra. From the terminal all guidance and IsoBus programmes can be run, as can all the electronic systems on the tractor. 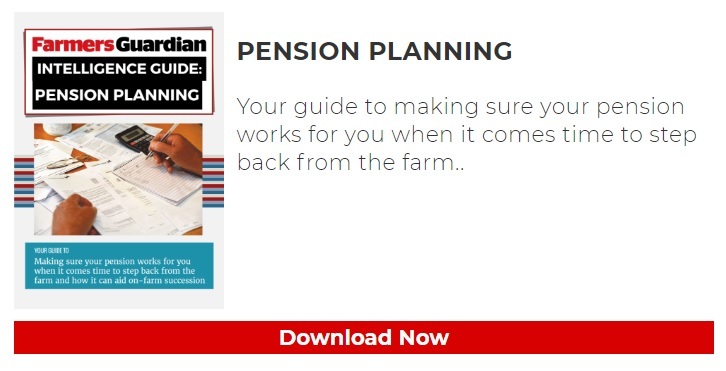 More on this coming soon in Farmers Guardian. With seven models ranging from 155hp to 250hp, customers can choose from four main T Series variants; Direct, Versu, Active or HiTech. Direct is the top spec machine and gets a CVT and electrically-operated hydraulics. While Versu and Active models share the same 20 by 20 (30 by 30 with creeper), five-step powershift transmission, Versu machines get top-spec electrically-operated hydraulics along with increased tractor setup via a terminal, whereas the lower spec Active gets mechanically-operated hydraulics and no terminal. Slotting in below Active will be the entry level HiTech model which gets a five-step powershift transmission and mechanical hydraulics. The top three models feature load-sensing hydraulics producing up to 160 litres/minute of oil flow, with the HiTech having open centre hydraulics producing up to 100 litres/minute. Currently comprising two models, the 270 CVX and 300 CVX, Case IH’s Optum range has now been extended to include a smaller 250hp model. Weighing 10,500kg unballasted, up to 16,800kg can be deployed for heavy draft work. Maximum power tops at 273hp, and comes from the same turbocharged 6.7-litre FPT used in the bigger models. The category three rear linkage can lift a maximum of 11,058kg and hydraulics are a serviced by a 165-litre/minute pump. As alluded to by the CVX designation, all three models are equipped with the firm’s own continuously variable transmission. In terms of power, the Optum picks up from where the Puma range leaves off and offers customers a lighter alternative to the lower powered Magnums. A ‘stressed’ sump design sees the majority of loads and stresses transmitted through the sump and very little through the ‘block,’ with the ‘block’ effectively just sitting in the sump. As the backbone of the tractor, the sump design allows for large maximum gross vehicle weights, and because it avoids the use of any additional chassis or side rails, turning radius is also maximised, says the manufacturer. With two models (226hp and 246hp), Deutz-Fahr’s latest 7 Series tractors feature several updates including cab, controls, engines and suspension. The tractor’s MaxiVision cab now gets an improved dash console, featuring a five-inch colour display which can be tailored to show the required information. In addition, a new armrest control with the firm’s MaxCom, multifunction joystick has been introduced. Cab interior is now quieter, with a reduction in heat and vibration thanks to the isolation of the cab from the engine bay. Similarly, the air-con unit is quieter with improved air distribution. Taking care of all the tractor’s set-up and adjustment, along with a whole host of precision farming functions, is the iMonitor 2.0, 12-inch touchscreen terminal. 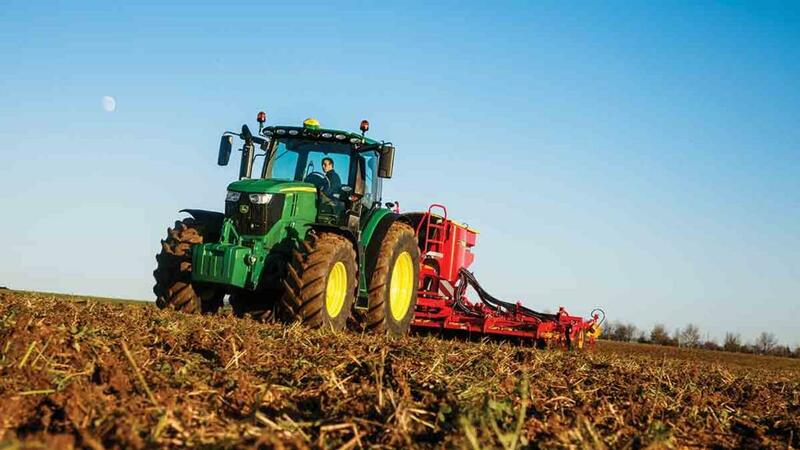 As well as meeting Stage 4 emissions compliance, the tractor’s 6.1-litre Deutz engine also provides a greater torque reserve and consumes 5 per cent less fuel and AdBlue, says the manufacturer. A continuously variable transmission covers a speed range from 0.2-60kph (depending on spec), and has been upgraded for improved performance with new software, says Deutz-Fahr. Up front, an ‘intelligent,’ adaptive front axle suspension unit has been developed to offer improved stability and traction under varying loads. Its anti-dive system is designed to keep the tractor level during transport operations. There are up to five hydraulic valves at the rear and two at the front, all proportionally controlled. Front linkage also gets position control, an IsoBus interface, and is capable of lifting 5,480kg. Rear linkage lift capacity is 10,000kg, and hydraulic performance extends to 120 litres/minute as standard – a 160-litre/minute version is available as an option. New styling has filtered down from the 9 Series and the tractor is also available in the firm’s black Warrior livery. In the Fendt camp, its 800 Vario Series has been on the market for a while now, proving popular with contractors and large scale farmers. Ranging from 226hp to 287hp, the manufacturer achieved Stage 4 by building on its selective catalytic reduction technology with the use of a diesel particulate filter (DPF) and exhaust gas recirculation. Unlike other DPFs, Fendt says its solution is a passive version which does not need extra fuel injected into it to burn off particles. The Deutz power plant also features series turbos, with a small one taking care of boost at lower revs while the other looks after boost at higher revs. An additional charge air intercooler and a reduced engine rated speed of 2,100rpm also saves fuel, says the manufacturer. As an option, a reversible fan can be specified which can be pre-programmed to engage every two hours for five seconds, for example. Filtering down from the 1000 Series tractors, 800 Series machines can now be specified with flat face hydraulic couplings (FFC). 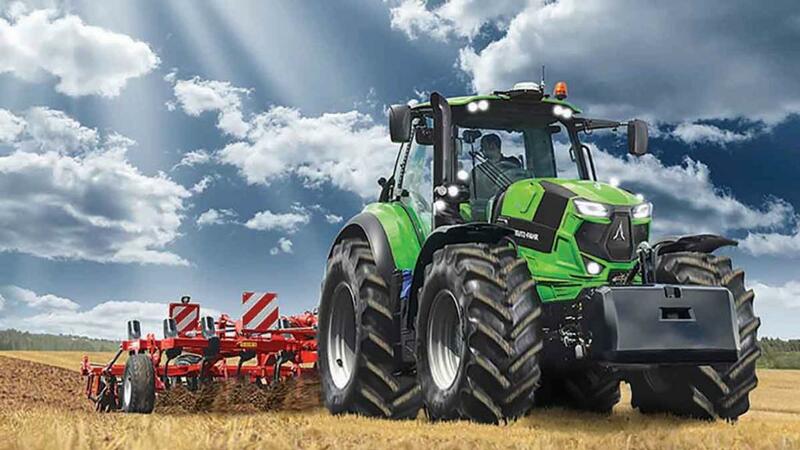 According to Fendt, this brings several benefits over conventional coupling, such as higher operating pressures, less leakage, easier coupling and better to keep clean. FFCs come as standard, with the ability to handle flow rates of up to 140 litres/minute for rear valves one to six, or optionally up to 170 litres/minute on the fourth rear valve. Enabling farmers to gradually change over to the new FFCs, they can be interchanged with standard couplings and screwed into position. A lever allows attachment under pressure and a ‘tear away’ system is incorporated, should you forget to remove a pipe. In addition, which aids hitching up to an implement, groups of pipes (up to four) can be coupled up at once – much like a loader’s multi-coupler. This avoids any pipe mix up, which can affect an implement’s operation.